An MRI revealed that she had torn her ACL sometime in the past and had some accompanying medial meniscus damage. 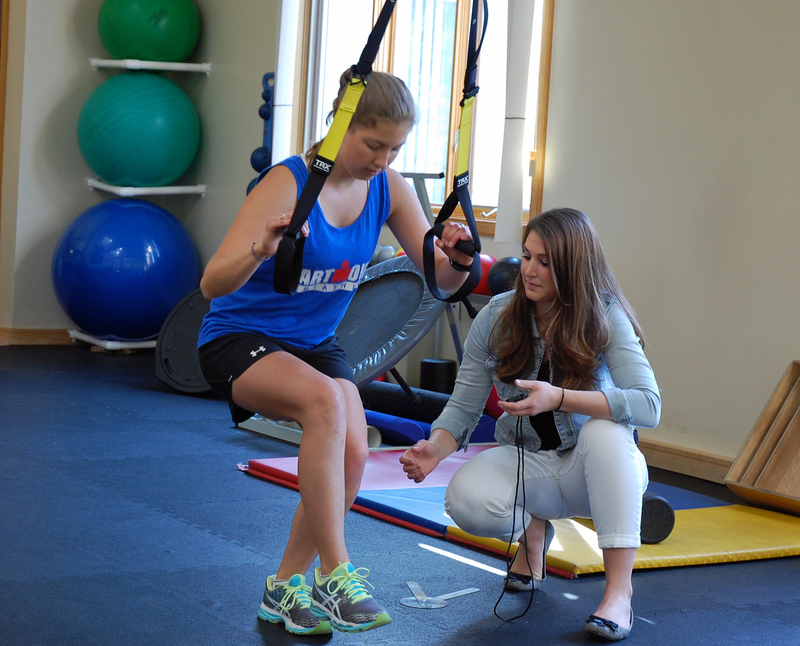 “How she originally tore her ACL is not fully known, but the fact that she had been participating in collegiate level athletics right up until the diagnosis is actually pretty remarkable,” noted Anna Hecker, PT, DPT. In December of this past year, Valentina underwent reconstructive surgery to repair her ACL and meniscus. For the repair, her surgeon used a part of her patellar tendon to graft the knee together in the fashion of an ACL and sent her to physical therapy for the critical rehabilitation phase. Valentina came to see us 4 days post-surgery getting right to work on her rehab program. Valentina was in a knee brace that locked to maintain the full extension of her lower leg for almost 6 weeks, only taking it off at therapy to work on muscle contractions and bending her knee with Anna’s manual guidance. 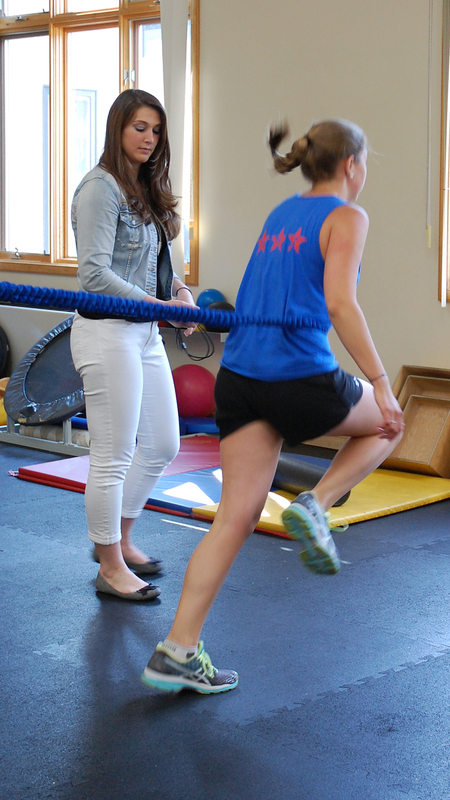 The main purpose of the initial stages of the rehab is to build back the strength in the affected quadriceps muscles. Shortly thereafter Valentina was in the pool swimming and aqua jogging, and by the end of March she was rowing on an erg machine. In April she started jogging, and by May Valentina participated in the swimming portion of a triathlon. 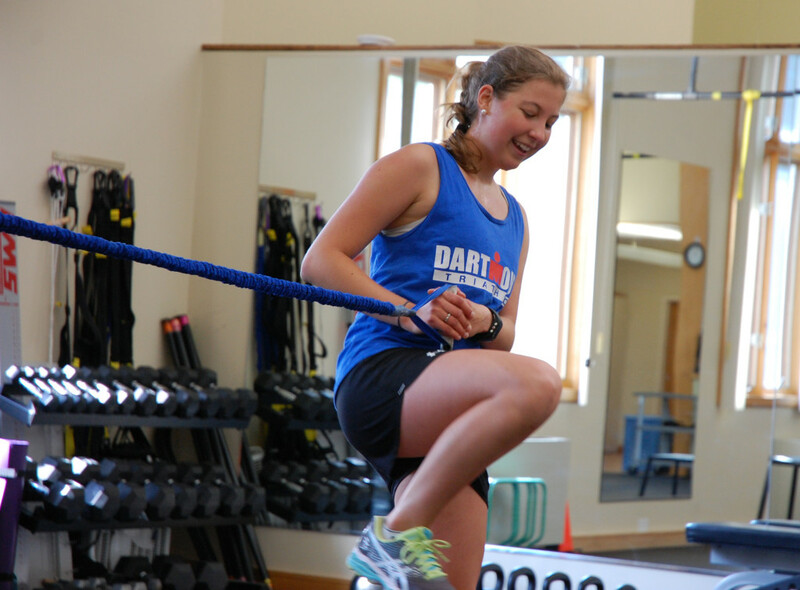 Now she is back to running, swimming, biking, and training with the Dartmouth Triathlon Club.